Frame weight of 49 lbs. 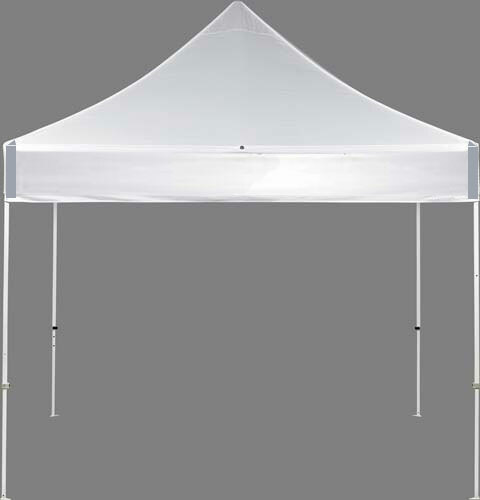 The E-Z UP ES100S 10 x 10 instant canopy package is the perfect fit for any growing entrepreneur's or organization's needs. 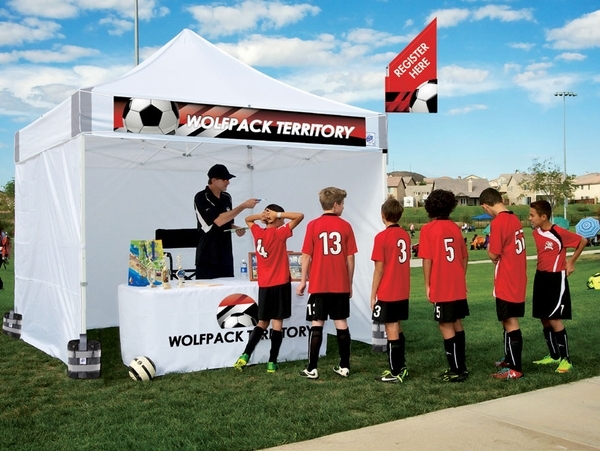 The canopy's frame is made from white powder-coated commercial steel that is rust resistant which makes it not only one of the toughest canopies in the market today but also one of the easiest to assemble and break down. The E-Z UP ES100S frame features high strength end caps, push button leg adjustment toggles, E-Z Glide truss washers, and Pull Pin Sliders that lock and release for added stability and ease of use. The commercial grade water and fire resistant fabric top meets both CPAI84 and NFPA-701 fire resistant requirements. 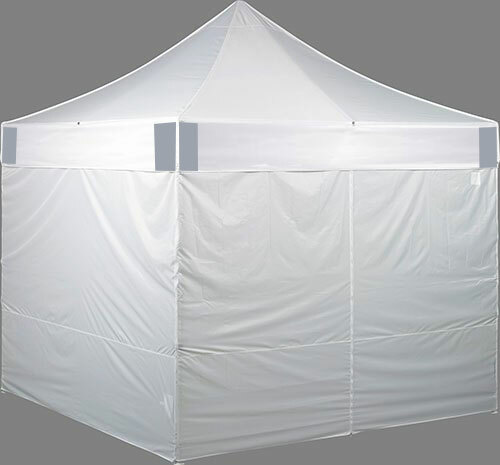 The E-Z UP ES100S canopy package includes 1 mid-zip Dura-Lon fabric sidewall to use as an entrance door or half side panels and 3 solid Dura-Lon fabric sidewalls, 4-piece stake kit, and a commercial roller bag with a storage pocket for sidewalls. 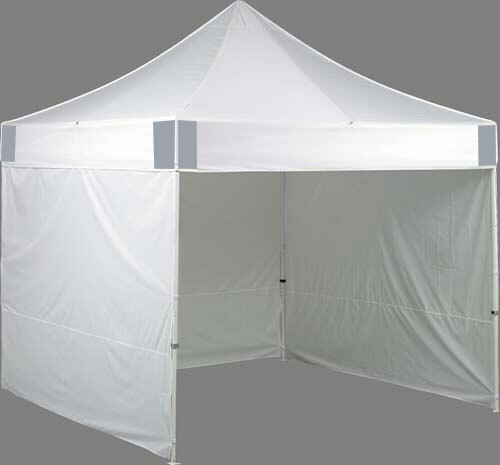 Canopy package comes with 3 year manufacturer's limited warranty. WARNING: This product can expose you to chemicals including Tris(1,3-dichloro-2-propyl) Phosphate which is known to the State of California to cause cancer. For more information go to www.P65Warnings.ca.gov. Maximum Headroom and Valance Clearance Height of 6' 10"
Maximum Peak Height of 11' 5"
I bought one 4 years ago from this company, put it up in southern California and left it there. Finally, I have some damage in the roof and I am going to buy another one. This EZ-UP survived sun, high winds (get the weight bags! ), and a little rain for four years. This canopy is worth every penny! ConsReinforcements at the top/frame contact points would extend the life of the top dramatically.